Can you believe it’s that time of year again? 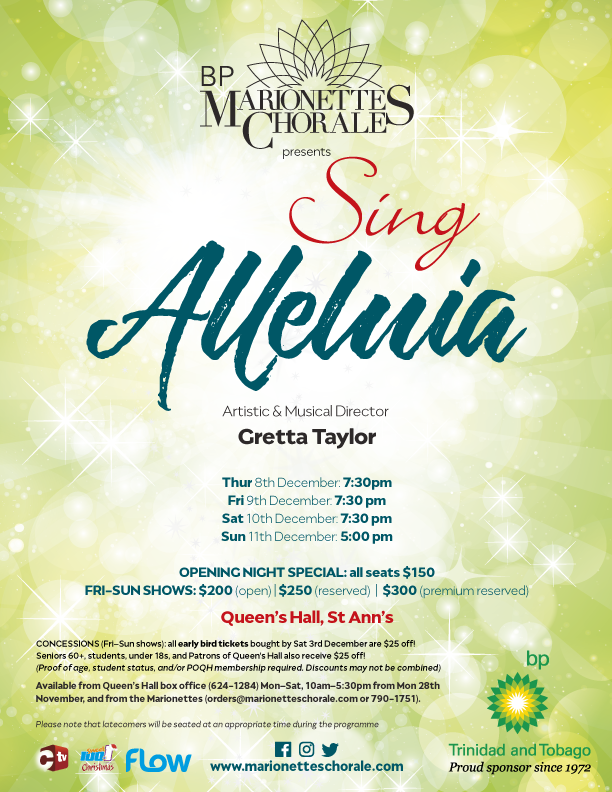 After 53 years, the “Christmas with the Marionettes” tradition continues as our three choirs return to Queen’s Hall this Thursday 8th–Sunday 11th December with Sing Alleluia! Proceeds from the series go to the far-reaching work of the Living Water Community, and to the Marionettes Property Fund, for the construction of our own rehearsal and performance space. You can pre-order your tickets online today, or through members! The Queen’s Hall Box Office (624-1284) opens from Monday 28th November, 10am–5:30pm, Monday–Saturday. EARLY BIRD DISCOUNT: Tickets bought by Saturday 3rd December are $25 off! All other tickets not eligible for concessions or the early bird discount (see above) are: $200 (open) | $250 (reserved) | $300 (premium reserved). You can pre-order your tickets, which will then be available for collection at the Queen’s Hall Box Office. Make sure to follow our Facebook, Instagram, and Twitter pages for all the latest! For more information, contact us at orders@marionetteschorale.com and 790-1751 (9am–6pm, Monday–Saturday). For 53 years, faithful patrons have proclaimed: “Christmas begins with the Marionettes”! 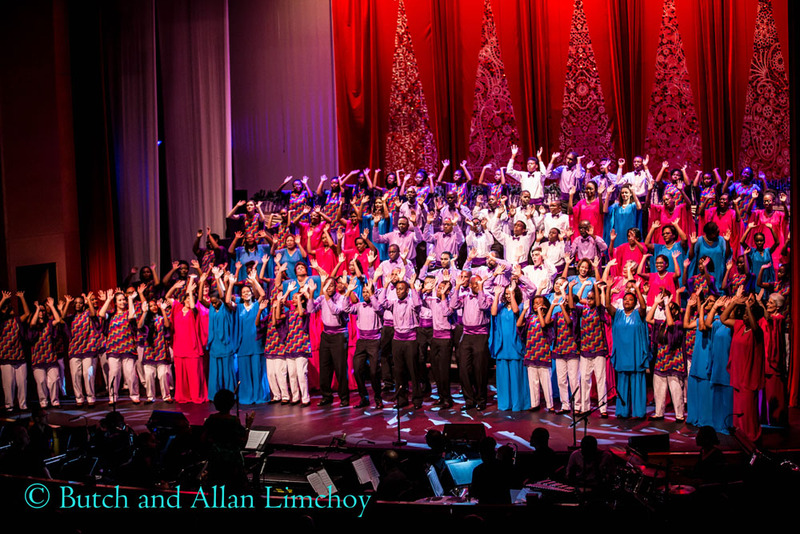 As has become a cherished Christmas tradition in Trinidad, the BP Marionettes’ adult, Youth and Children’s choirs return to Queen’s Hall in December with their eagerly anticipated holiday concert to ring in the festive season! Faithful audiences can look forward to the choirs weaving the Yuletide through an uplifting, rhythmic, and fun-filled programme of classical, spirituals, gospel, and popular local and international Christmas favourites. In a time when our country and the world are in dire need of peace, healing, and hope, the Marionettes — under the batons of Gretta Taylor (Hummingbird Medal Gold) and Dr Roger Henry — seek to usher in a spirit of love, community, joy and thanksgiving with music to put you in the holiday mood, and remind us all of the reason for the season. The series is proudly sponsored by bpTT, Flow, and CNMG: the Caribbean New Media Group (Sweet 100.1FM, TalkCity 91.1FM, and CTV). and outreach works in the parish of La Romaine. This Christmas season, part proceeds of Sing Alleluia will go to the Living Water Community. Their far-reaching programmes include care for those suffering from HIV/AIDS; housing, shelter, and training for at-risk young men; a Food Bank for single mothers; a cancer hospice; rehabilitation and housing for recovering addicts; care and housing for refugees; meals, baths, and clothes for the homeless; and a halfway house for neglected and abused children. They have also been one of the local groups coordinating assistance for those hit by Hurricane Matthew in Haiti. They say that charity begins at home, and part proceeds also go to the Marionettes Property Fund. For over 50 years, we have rehearsed wherever we can find space. But as our choirs’ numbers grow — along with our vast library of sheet music, archival material, instruments, sets, and costumes — there is a pressing need for a home of our own. Since 2001, we have been working to achieve this dream. We have been raising funds through performances, walkathons, brunches, the sale of CDs and merchandise, private donations, and the Buy-a-Brick programme. We have a plot of land in Mucrapo, and have received approvals from all requisite authorities. Now, all we need is the funding. by contacting Joanne Mendes to pledge building materials and services at email@marionetteschorale.com or (868) 790-1751. Thank you as always for your support! We look forward to seeing you next month as we Sing Alleluia!